Each year, a new flu vaccine is produced to combat what is predicted to become the most prominent strains of the ailment. As the 2018-19 flu season draws near, health experts are sharing their knowledge on what may be to come in the next few months. 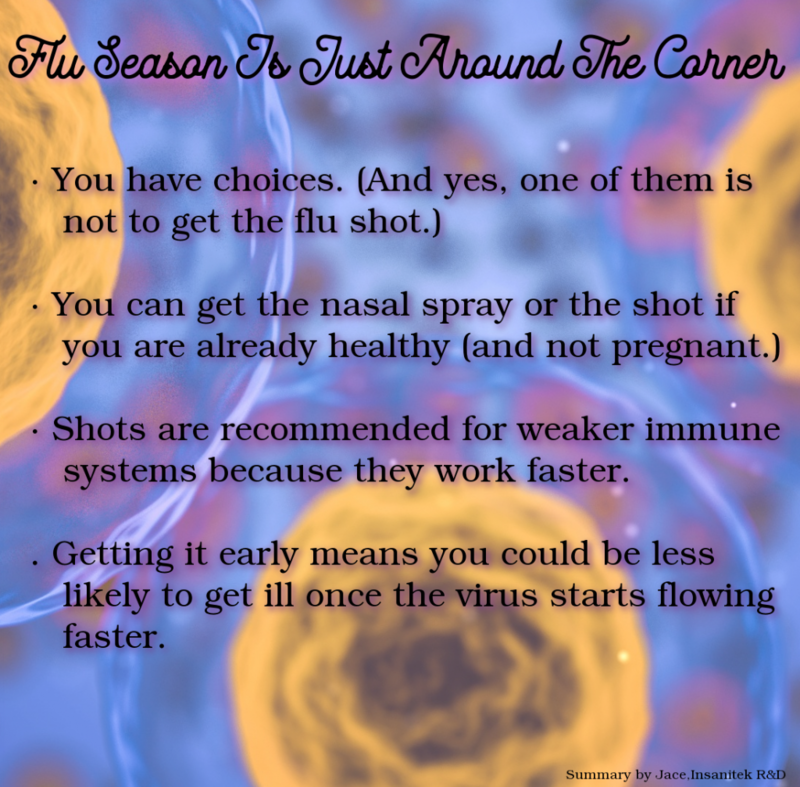 Here is what we know so far about the upcoming flu season. This is according to the U.S. Centers for Disease Control and Prevention. This gives the body enough time to build immunity, according to Robbin Lee, a pharmacist and pharmacy owner (Stapleton, 2018). Many healthcare providers already have flu shots available for people to receive. For those who cannot receive the shot, the nasal spray is back in the mix. FluMist has been away for about two years, but it is now an option, having been updated since originally deemed ineffective by the CDC back in 2016. Those who are between the ages of 2 and 49 and not pregnant are eligible to receive FluMist, pending doctor’s orders. Depending on your age and existing health, there are several different flu vaccines that you may be eligible for, according to the CDC. For example, high-dose shots are often given to the elderly. The shot (as opposed to the nasal spray) is recommended to children aged six months or older. 4. The American Academy of Pediatrics recommends that Children Receive the Vaccine As Soon As Possible. The best protection against the flu is to wash your hands, according to Lee, especially if you are around others who are exhibiting symptoms of illness. And, of course, do not hesitate to contact a medical professional in the event that your condition worsens or you are concerned about your own symptoms. Stapleton, Erica. “5 Things To Know About Flu Vaccines This Year.” WFMY-2 News. 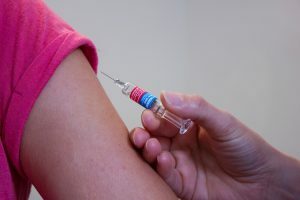 Retrieved Sept. 4, 2018, from https://www.wfmynews2.com/article/news/local/5-things-to-know-about-flu-vaccines-this-year/83-590506123.